Cord-Cutting in 2018: What’s it all About? In this day and age, it would be hardly an exaggeration to say that the Internet has become an essential part of our society. It’s grown into a superpower that drives businesses across the globe, connects people with each other, makes numerous tedious and time-consuming tasks easier, and much more. However, one of the latest trends that have stemmed out of this incredible technology is cord-cutting. Cord-cutting is the practice of cutting expensive cable connections to switch to more affordable over-the-top (OTT) broadcast services aka online streaming services. Apple TV, Netflix, and Hulu are some of the most popular online streaming services that are spearheading the cord-cutting revolution. Since most people use the Internet anyway, they have started watching their favorite TV shows on these Internet-based networks which are easily accessible and offer unlimited control over what content they want to access and at what time they want to access. In fact, web users have already figured out how to access American TV channels when going abroad with the help of VPN services that are also easily available on the Internet. 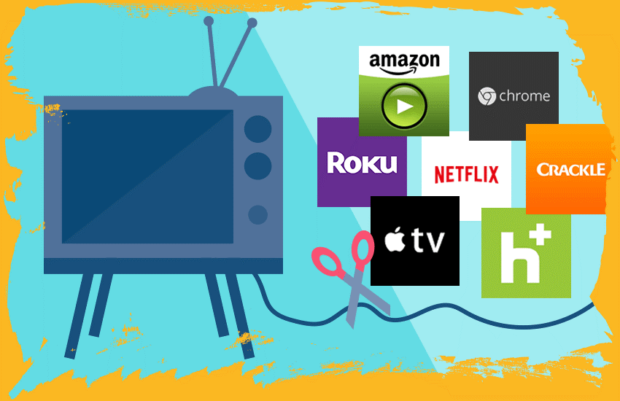 What are the Benefits of Cord-Cutting? High-speed Internet connections are not only easily available, but they are also quite cheap too. So, it only makes sense to pair this advantage with an affordable online streaming service. The online streaming industry is booming today which also explains why a company like Roku is completely disrupting television by offering compact and affordable devices that can turn a standard TV into a modern Internet-enabled TV. Just like mobile phones have become ubiquitous, it’s only a matter of time when Netflix and Hulu become synonymous with television. Most of the premium streaming services have no advertisements at all. What’s more, you can binge-watch an entire series if you want as all the episodes are available on the platforms at all times. With online streaming services, you can carry a TV in your pocket. So, when you are traveling in a bus or train and it’s a long journey, you can simply take out your phone to watch TV on the go. 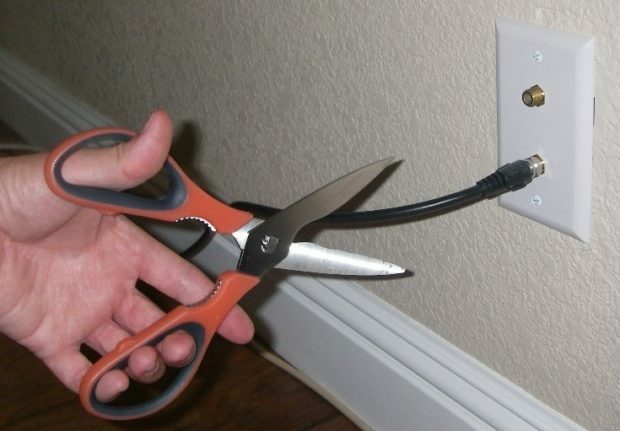 How to Get Started with Cord-Cutting? There is no point of switching to streaming TV service if you are going to spend a fortune on the Internet service itself. So, the first thing you must do is find an affordable Internet plan. Bear in mind though, you need a decent bandwidth to watch your favorite TV shows in HD quality. Most people don’t look hard enough and end up believing that high-speed Internet is meant to be expensive. The truth is that there are many ways to get the best Internet plans at low prices just like there are ways to enjoy cheap International calls on iPhone. You just need to do some research on your part. Internet providers like to push high bandwidths to their customers for a premium price even though most of the users need only a small portion of that speed. For instance, if you want an Internet connection just to watch TV shows online in HD quality, and other purposes like reading emails, listening to music, and general web browsing, then you don’t need more than 30 Mbps of bandwidth. So, switching to a lower speed, you can greatly lower your monthly bill. You may qualify for government subsidy which is provided to low-income consumers. You can find more details about this facility available under the Lifeline Program on the Federal Communications Commission website. If you think you are overcharged for the Internet service, then you can simply negotiate the bill to get a lower price. If you are not comfortable with the whole idea, then you can even appoint a third-party to do that on your behalf. There are a number of companies that offer this service including BillFixers and BillCutterz. Netflix: Netflix is so big that it’s become synonymous with online streaming service itself. However, the hype isn’t unjustified. It’s easily one of the most premium services available with a variety of original TV shows and movies. The only drawback is that it can be expensive for some users. Amazon Prime: Amazon Prime was late to join the race which is why the original content on the platform is limited at this point. However, it’s ramping up the production and working on many new and original shows as well as obtaining the copyrights of existing TV shows to launch them on its own platform. Another benefit of choosing Amazon Prime is that you can enjoy other Prime benefits such as free and faster shipping, special discounts, etc. Hulu: Hulu provides a great selection of current TV shows. It’s one of the cheapest options available but that’s because there are commercials involved. Still, if you are really only interested in current TV but want to stream it on the Internet rather than use a cable connection, then it’s a good option to consider. Out of these Roku or rather Roku Streaming Stick Plus is recommended as it’s user-friendly, supports 4K, HDR video and a variety of online streaming services too. Congratulations! You have now become a member of the cord-cutting revolution. Enjoy new-age television experience at an incredible level of convenience. Your wallet will thank you too.